Everyone sneezes so what’s the big deal with Puppy Sneezing? The first few days in your home with your new puppy can be the most rewarding and exciting time. These first few weeks allow you to make strong bonds together. It’s also an excellent time to simply enjoy your new puppy with its cute size and funny behaviors. But taking good care of young puppies can also be potentially stressful. When you see your new puppy exhibiting behaviors that you are not sure of, this can be especially stressful. Slight behaviors out of the ordinary can be very concerning. If you are like me, a minor thing can make you worry that there’s something wrong with your puppy. It is okay to be slightly overprotective when it comes to taking good care of this new life. That just shows you are a good pet parent. One common symptom that alarms new owners of puppies is sneezing. It is particularly the case if the puppy appears to be repeatedly sneezing or showing other symptoms of illness. Sneezing is not always a sign that your puppy has a serious illness. Puppies sneeze for many of the same reasons that humans do. An occasional sneeze by you or I is no big deal. That same is true for puppies. 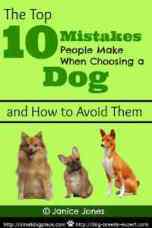 As dutiful pet owners, it is a good idea to learn more about our pets. Below are some of the more common reasons why a puppy sneezes. 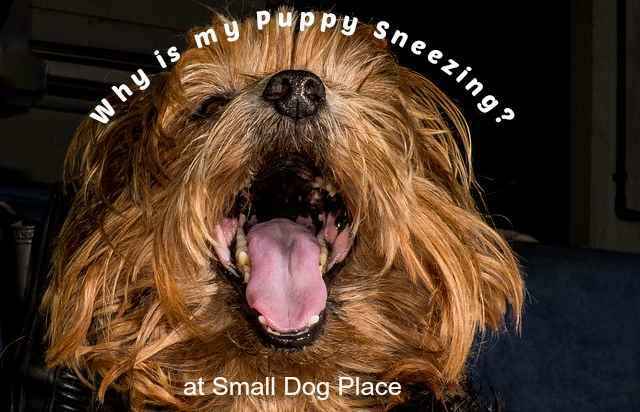 There are several reasons for puppy sneezing. Allergies can be one of the more common causes of (repeated) puppy sneezing. Sneezing due to allergies can also be more pronounced in younger puppies since its immune system is still developing. This means many allergies are outgrown or become less severe while your puppy ages. 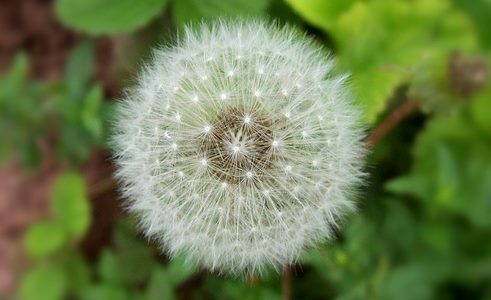 Allergies lead to sneezing because of the natural reaction of the body to expel or remove the sources of irritation. This will always be associated with other common symptoms like a runny nose, irritated eyes, skin irritations, etc. Since dental problems are caused by poor hygiene and tooth decay, they tend to occur more frequently in older dogs. But puppies can also have dental problems. This is especially true if the puppy is losing his baby teeth and the adult set is erupting. Some puppies have a harder time and may experience more distress during teething. Abscesses or infections behind the gum line caused by the dental problem can usually lead to puppy sneezing. Puppy owners should keep their eyes out for swollen or inflamed gums and other issues in the mouth. Veterinary intervention is recommended if you think your puppy might have dental problems. Rarely when chewing up an object (think of foam, breakable toy, feather pillow, etc. ), a foreign object can be inhaled in the nasal cavities. Of course, your puppy doesn’t necessarily have to be chewing up something for tiny particles to make it inside their nose. Small particles, such as grass seeds, and other small objects can be inhaled or eaten by your puppy. 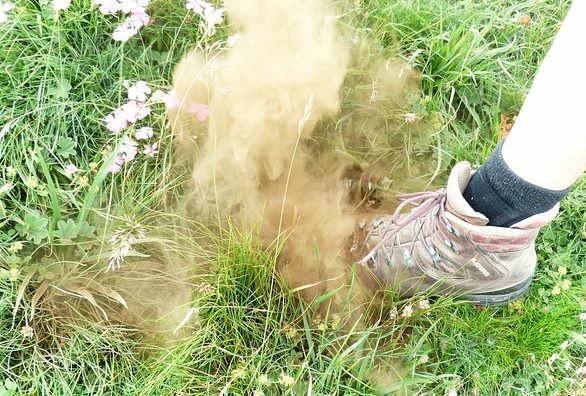 These small particles can become lodged in their respiratory tract. This will cause your puppy to sneeze to remove or expel these foreign objects. When you feel there’s foreign object in the respiratory system or nasal cavity of your puppy, it’s critical to seek the help of a vet to identify it or remove it. Sinus problems, colds, or other respiratory problems that can also affect your puppy. Parainfluenza and the Adenovirus are frequent causes of sneezing in puppies, both of which have vaccines that can prevent them from occurring. Both of these among others fall into the umbrella term, Kennel Cough. Vaccinations are very important for puppy (and dog) health and if your puppy is receiving regular booster shots, you may be able to rule these problems out. 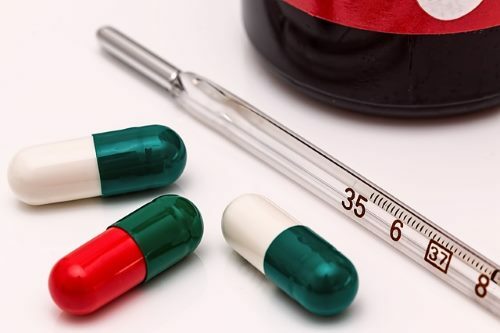 However, most respiratory infections are accompanied by other symptoms in addition to sneezing. If your puppy is sneezing more than you think is normal. 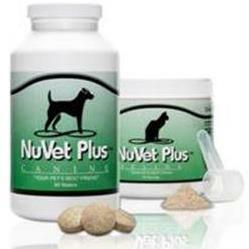 Or if you feel there’s something wrong with your puppy’s health, please seek veterinary care. Sneezing is more common in some breeds than others. Take the brachycephalic breeds, for example. They have very short muzzles with compressed nasal passages that can trigger a sneezing spell if they are exposed to some irritant or foreign substance. 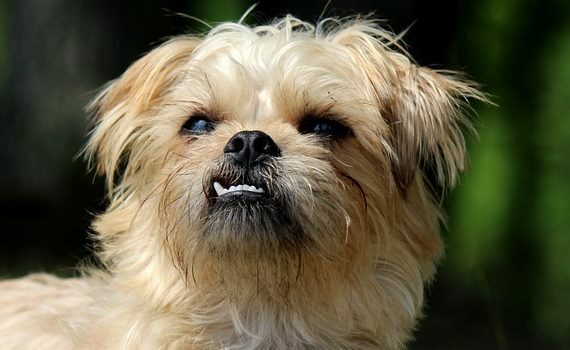 There are a few small dogs that have brachycephalic syndrome including Pugs, Shih Tzu, Pekingese, and Lhasa Apso, English Toy Spaniels and Chihuahuas. We don’t often think about puppy sneezing as a behavior, most likely because as humans, we can’t sneeze on cue. Rather, for us it is an involuntary response to an irritant. Dogs and puppies have ways of relieving stress. You may not think a small puppy could get stressed, but that is far from the truth. Moving into a new home, learning new routines and skills and meeting new people and animals can be very stressful on puppies. Luckily, puppies (and dogs) have many ways of calming themselves and dealing with the stress. Turid Rugaas, author of On Talking Terms With Dogs Calming Signals and other books, talks about the many different ways dogs can calm themselves down. Some of these behaviors you have no doubt witnessed. Sneezing is another way that puppies can calm themselves down. Sneezing is just one way a puppy can calm himself. I remember going with a friend to pick up a new puppy. She had wanted to take her adult dog with her so that both animals could meet on neutral territory. Once both dogs were near each other on the lawn of the breeder’s home, the older dog turned away, licked his lips, and began to sneeze. Everyone laughed because they thought he was indignant and annoyed that a puppy was in his presence. Not so. He could have sneezed because he was allergic to the grass, but that reason was quickly ruled out. He was using several calming behaviors (licking lips, sneezing, looking away) to reduce his level of stress. His sneezing was a way of calming himself down. The presence of a new puppy was stressful to him even though the puppy was several feet away. We often miss many signals that dogs are trying to tell us because we fail to notice their subtle body language. Puppy Sneezing can have many causes, some behavioral and others of a medical nature. If you are worried that your puppy may be ill, it is advisable to call your vet. Teething problems that cause a puppy to sneeze will eventually go away on their own. Allergies should be watched carefully and treated. Alternately, avoiding the allergen will also reduce the sneezing. A bacterial or viral infection can be treated with the proper care of a veterinarian. If stress is the cause of the sneezing, consider creating a calm environment where puppy can feel safe and secure. Cavin Mahaloo, from Small Animal Planet writes about animals, including pets, and helpful products reviews. The world of animals and the work of conservation is something Gavin is passionate about.